Survey consent form and survey data should always stored in different database. If you are a paid member of Survey Monkey, it is not too hard to do that. 1) Create a “survey” only contain consent form, and a space that people can type in their real name and date. 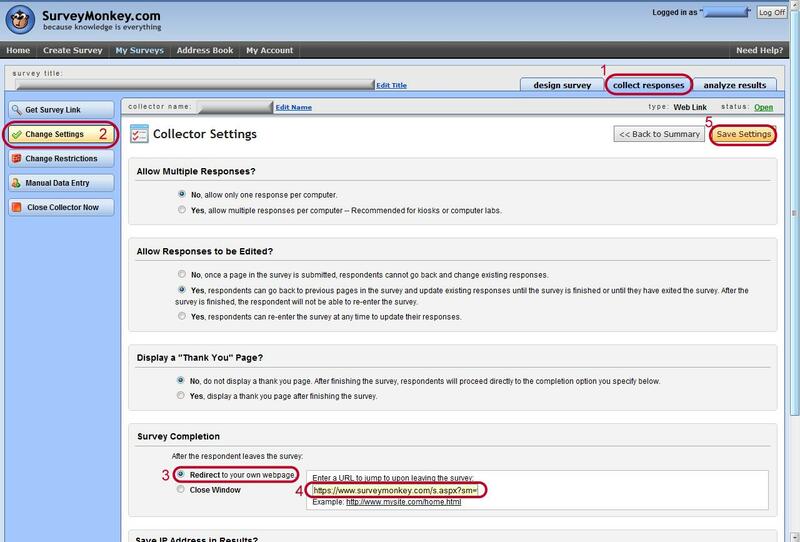 2) Create another survey which contains all your survey questions, and from “collect responses” section make and copy the survey link. 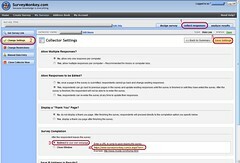 3) Go back to the survey consent form “survey.” In “collect responses” section, also make a survey link. · When you have your survey link ready, you will see at the left hand side there is a “change settings,” you will need to click it. · After you done all these steps, you only need to give people the survey consent form link. After they fill in the consent form, they will automatically direct to the real survey questions. You can import images in Survey Monkey as survey questions (the image size is limited; therefore, the quality of images will not be really high either). Survey Monkey also supports to show images from Flicker of Picasa. You only need to copy the image link provide by Flicker of Picasa and past in Survey Monkey, you will be able to show better quality images in this way. Participants cannot use images to respond to questions in Survey Monkey. Solution: you can suggest your participants to use Flicker or Picasa image links to exchange images. The timing you send out the survey in Second Life might make some difference. People in Second Life come from different time zone. Try to send out the survey at different time, if the group owner let you use group chat.